Drencher systems are designed to protect openings in the walls of buildings such as a door ways or non-fire rated windows – at this particular site the drenchers were to protect the occupants if they were escaping down the side of the building in the event of a fire. 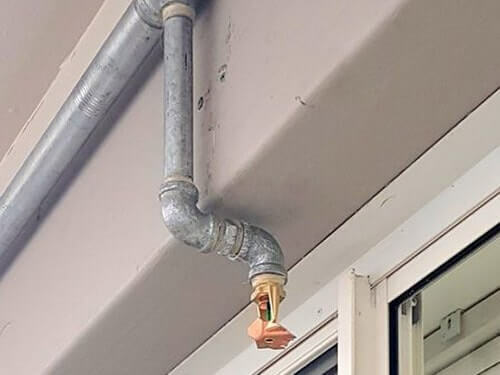 When East Coast fire & Safety took over the South Nowra Site it was noted that the drencher system was in actual fact using domestic sprinkler heads that required a manual operation by a user – this was of course non – compliant. The system to be effective requires that the sprinkler heads must be automatically activated by heat. In stepped East Coast Fire & Safety Sprinkler fitters to the rescue – within a day the non-compliant system had been removed and a new compliant system was installed. As you can see the results speak for themselves. Well done Aaron & Patrick!